Isaac Ashby (‘18), Ellliot Douma (‘19), Jared Barnes (‘18), and Chris O’Connell (‘18) perform “Ritmo” with Collegiate Chorale. The very first concert of the year showcased the talent of seven ensembles with all of their new members. The Family Weekend Concert was held in the Center for Faith and Life (CFL) on Saturday, Sept. 23. Aurora, Norsemen, Cantorei, Cathedral Choir, Collegiate Chorale, Wind and Percussion Ensemble, and Varsity Band presented this concert to community members, students, and families. Associate Professor of Music Jennaya Robison (‘96) conducts the first-year female choir, Aurora, and the junior and senior mixed choir, Collegiate Chorale. Visiting Instructor in Music Mark Potvin (‘01) conducts Luther’s first-year all-male choir, Norsemen, and Cathedral Choir, which is made up of uperclass singers. Assistant Professor of Education and Coordinator for Music Education Jill Wilson conducts the women’s choir, Cantorei. Both Wind and Percussion Ensemble and Varsity Band were conducted by Director of Bands and Associate Professor of Music Joan deAlbuquerque. Each of the performing ensembles had three weeks to prepare. This preparation included auditions, repertoire selection, and rehearsal with the complete ensemble. Wilson commented on how to overcome challenges of a shortened preparation time for a performance. The music repertoire selected for the Family Weekend concert influences the theme each conductor selects for their musical ensemble. President of Collegiate Chorale Derek Barnhouse (‘18) highlighted the importance of selecting pieces appropriate for the choir in both theme and difficulty, especially given only three weeks of preparation for the concert. The concert’s opening pieces from Varsity Band were Karl L. King’s “Hosts of Freedom,” a march-style composition written in 1920 and John Carnahan’s “A Dream of Coming Home,” a rhythmically slower piece written in 1955 for soldiers returning home from battle. Professor of Music Joan deAlbuquerque. The Varsity Band’s performance was followed by Norsemen and Aurora. Norsemen began with a contemporary piece titled “Oh, Sing Jubilee for the Lord,” which composer Brad Holmes arranged specifically for Norsemen in 2011. Norsemen also performed the African-American spiritual “Steal Away” arranged by Brazeal Dennard for contemporary spiritual worship. Aurora began their performance with Glenn Koponen’s arrangement of “Zion’s Walls,” featuring a variety of vocal ranges suitable for a college-level choir. Aurora finished their performance with Zachary J. Moore’s composition of “Always Keep This Close,” with special appearances by five Luther string performers who also sang in Collegiate Chorale later in the evening. Wind and Percussion Ensemble opened the second half of the performance with Eric Whitacre’s “The Seal Lullaby,” an undulating rhythm inspired by Rudyard Kipling’s poem “White Seal.” To wrap up their performance, Wind and Percussion played Alfredo Javaloyes Lopez’s “El Abanico,” which had march-style rhythms. The last choir to perform for the night was Collegiate Chorale, singing Ivo Antagnini’s “Jubilate Deo” in Latin featuring text from Psalm 65 and “Ritmo,” a Spanish work written by Dan Davison with special piano accompaniment by CJ Heck (‘19) and Visting Assistant Professor of Music Nicholas Shaneyfelt. The final piece of the night was the college hymn, which was composed by Luther College’s fifth president, J.W. Ylvisaker. This song featured all of the choirs that performed during the evening along with Wind and Percussion Ensemble. The brief preparation time each ensemble had prior to the concert was unnoticable by the audience, according to concert attendee John Keifer (‘20). 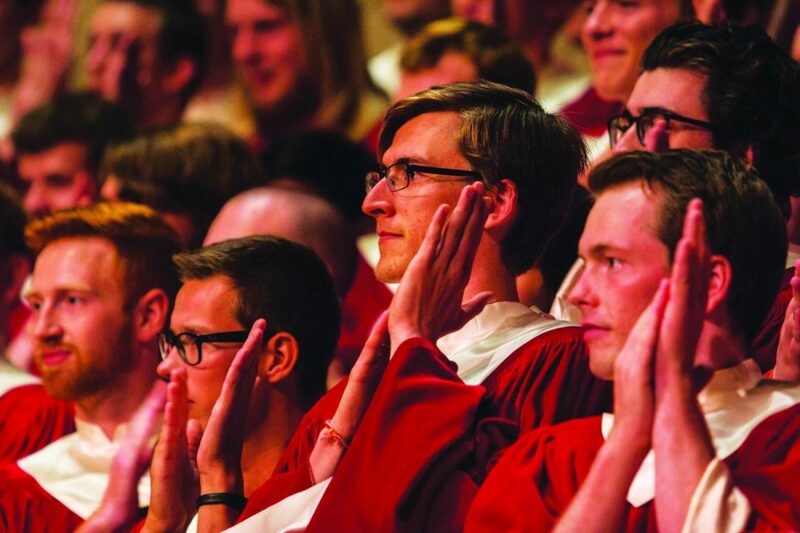 “As someone who has not attended a music performance [at Luther before], I felt the music was relatable and casual, and it was something not intimidating for those of us not involved in music,” Kiefer said. 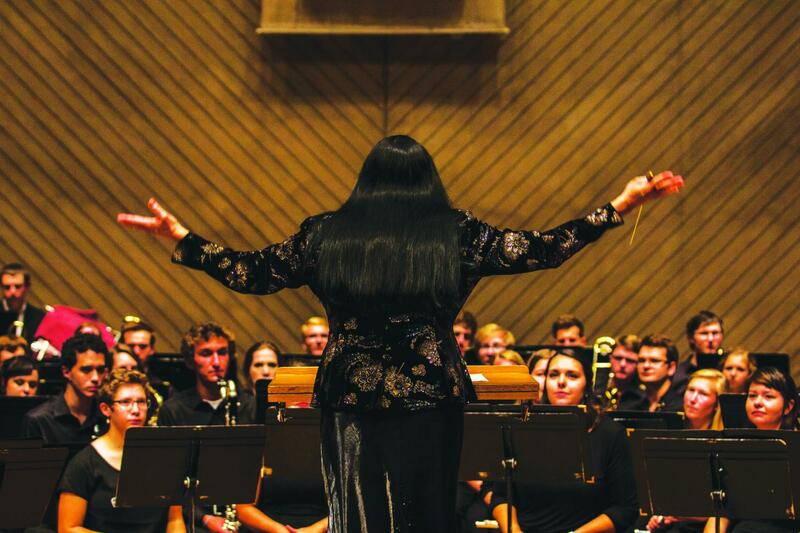 The Family Weekend Concert is just one of many musical performances to come from the music department’s ensembles; nevertheless, as the music calendar year continues, the musicians grow together as a group and as individuals, according to dAlbuquerque.